Trecini Winery is a Santa Rosa winery and tasting room that has grown into a premium wine company offering multi award-winning varietals of Russian River Sauvignon Blanc, Estate Russian River Pinot Noir, Russian River Merlot, Russian River Late Harvest Sauvignon Blanc, and Rockpile Zinfandel, and a Sparkling Zinfandel. They continue their sustainable vineyard philosophy, spare no expense on a well-managed barrel program and produce a lower alcohol wine that brings out the beauty of the wine delighting the consumer’s palette making their wine memorable and creating a thirst for more. Born and raised in Tuscany, Italy, John Vicini brought with him the passion and love of wine. Together with his wife Cathy, son David, and Dan Barwick their winemaker, they bring to you exceptional wines from the vineyard-covered hills of Sonoma County, Russian River Valley, and Rockpile Appellations. 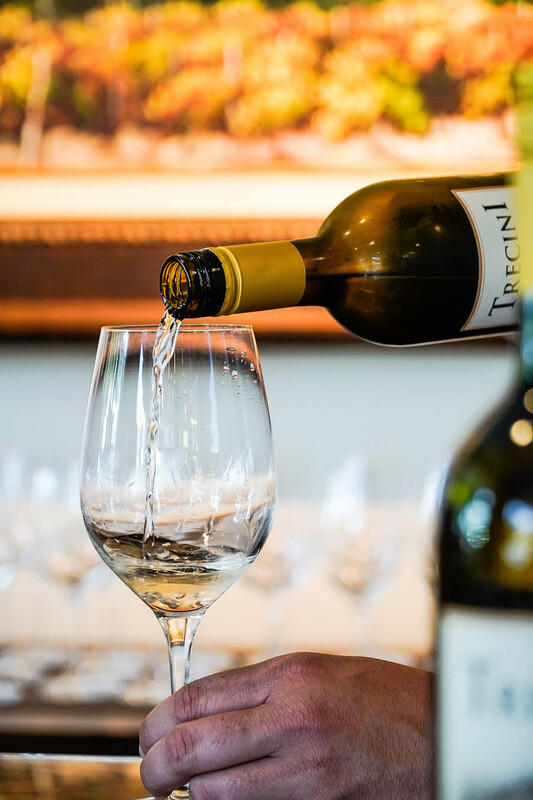 Starting in 1994, John and Cathy grew and sold their own premium Russian River grapes, until expanding their family’s business in 1999, when they introduced their own label Trecini, representing the three Vicini’s (John, Cathy, David).